The information about these shipyards comes mainly from extracts from British Army Aid Group (BAAG) Intelligence Summaries kindly sent by Elizabeth Ride. 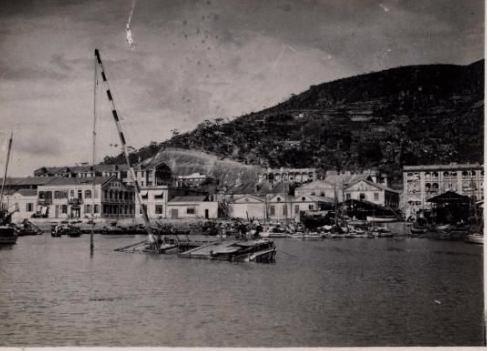 The image below, courtesy of gwulo.com may show Ah King’s shipyard on the extreme right and was taken shortly after the 1937 typhoon. Kwong Hip Lung Shipyard (Dainichi Shipyard). The Index contains many articles showing BAAG articles about Hong Kong during the Japanese occupation.